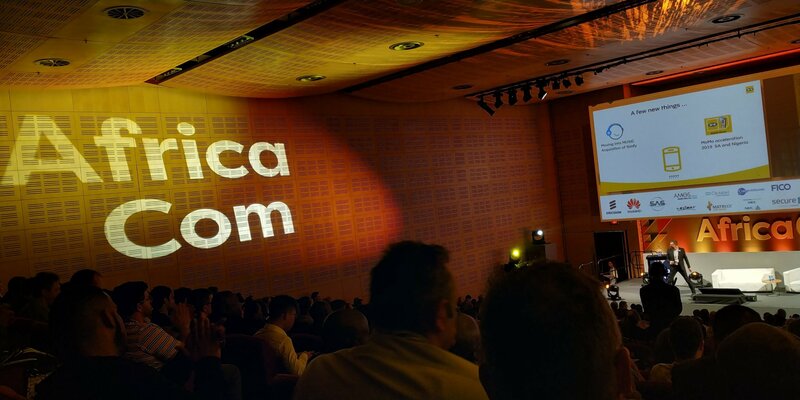 One thing that’s topical here at AfricaCom is the incoming 5th Generation network (5G). 5G is primed to offer greatly increased bandwidth, dramatically faster download speeds, and instant response. But 5G is much more because it rewrites the rules on how mobile connectivity is delivered. Where is 5G coming from and where it is going? 5G is a revolution more than it is an evolution of connectivity. Put differently, 5G is not just the next step in the technology evolution from 2G (voice) to 3G (data) to 4G (LTE or better data) but it redefines how connectivity will be in an increasingly interconnected world. And, it’s not just about faster data speeds, thus being able to download a hundred videos simultaneously (why ever would you need that anyway?). It’s about enabling the fourth industrial revolution, of the Internet of Things (IoT) and (Artificial Intelligence) AI. 5G is the underpinning technology to all 4th industrial revolution that includes IoT, autonomous vehicles, AI, the blockchain, cloud computing, edge computing etc., which are all set to disrupt how we currently do things here. But, is 5G realistic for Africa? Many parts of the continent still don’t have running water or LTE. At the moment 5G would be used for very specific cases. It’s not a technology for everybody because most people don’t need it since our phones and tablets are working perfectly fine on just 3G and 4G. There is the need of new infrastructure by Internet Service Providers (ISP) and for us consumers, there is a need for even new handsets or gadgets and even the routers that can receive 5G network, which is all but very expensive. If you take a look at our ISP’s or Mobile Network Operators (MNOs) coverage in Zimbabwe, for instance, many areas don’t yet have any sort of connectivity. Let alone having a 3G network. This shows that African ISP’s or MNO’s don’t currently have the financial muscle to introduce 5G since they haven’t even satisfied the current demand of 2G or 3G. Okay, even if the ISP’s or MNOs somehow conjure up the financial resources to introduce 5G for a wider roll out not only Zimbabwe but in Africa, do consumers have money to buy new gadgets that support the 5G network? Currently, mobile phone penetration (for devices that receive 2G, 3G or 4G) is just 44% and its projected to cross the 50% mark in 2023. One reason for not having mobile phones is the issue affordability. It seem like these people (who are finding it hard to afford 2G, 3G and 4G phones) will also lag in the move into 5G devices. And this will delay the payback period to ISP’s and MNO’s 5G infrastructure investment as the users of 5G will be relatively small for some years. Despite these abovementioned challenges, Africa has a number of compelling use cases for 5G. One which is Electronic learning (eLearning). Mobile learning (mLearning) and eLearning is taking off in Africa. Many users of these services are in rural locations and may not have consistent access to traditional education services. 5G, and more generally building out mobile infrastructure, could improve the learning experience greatly for eLearning and mLearning populations by introducing more video and live interactions, and eventually, augmented and virtual reality-based learning. Two such examples include Jibu, an mLearning app that offers nurses in Kenya and Tanzania a learning experience, and the LivingPages app from textbook publisher Via Afrika, which supplements textbooks with streamed augmented reality content. While these apps do not require 5G connectivity to work, eLearning and mLearning content could be greatly enhanced with 5G network. With an application like Jibu, nurses could improve training via 5G with real-time video access to experts while helping to treat patients in the field. An app like LivingPages could adopt increasingly sophisticated AR and eventually virtual reality experiences processed in the cloud. And this would prove an important investment in lifting Africa’s overall economy through educational gains in the labor force.